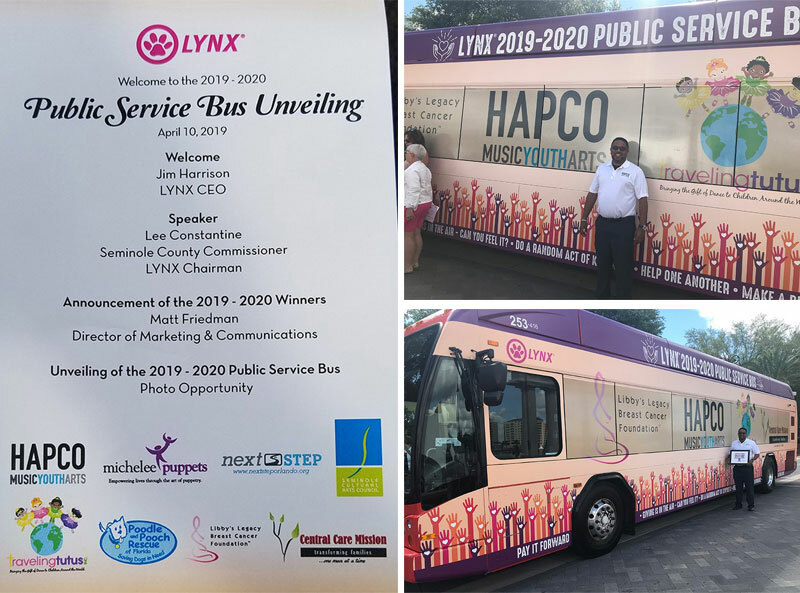 HAPCO is one of the eight featured non-profits in Central Florida on the 2019-20 LYNX Public Service Bus. The bus will be at our Wine & Dine on April 27 at Oakland Town Center! Thank you LYNX! And thanks to our sponsors for helping us build the futures of young people in our community through arts and music education! 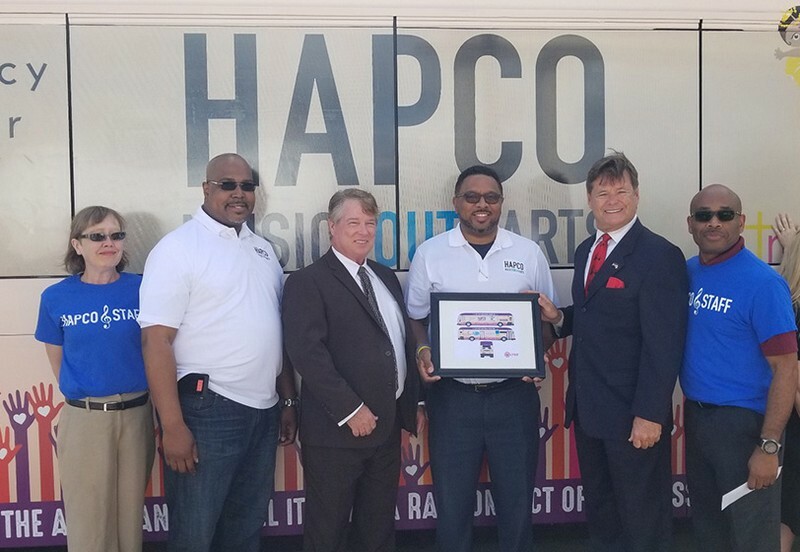 HAPCO’s programs assist young people in furthering their educations through music and the arts. Our program curricula include core theory and technique training, alongside practical information including career options, technical tools and real-world application of skill sets. Your support allows us to continue and grow our free educational programs.